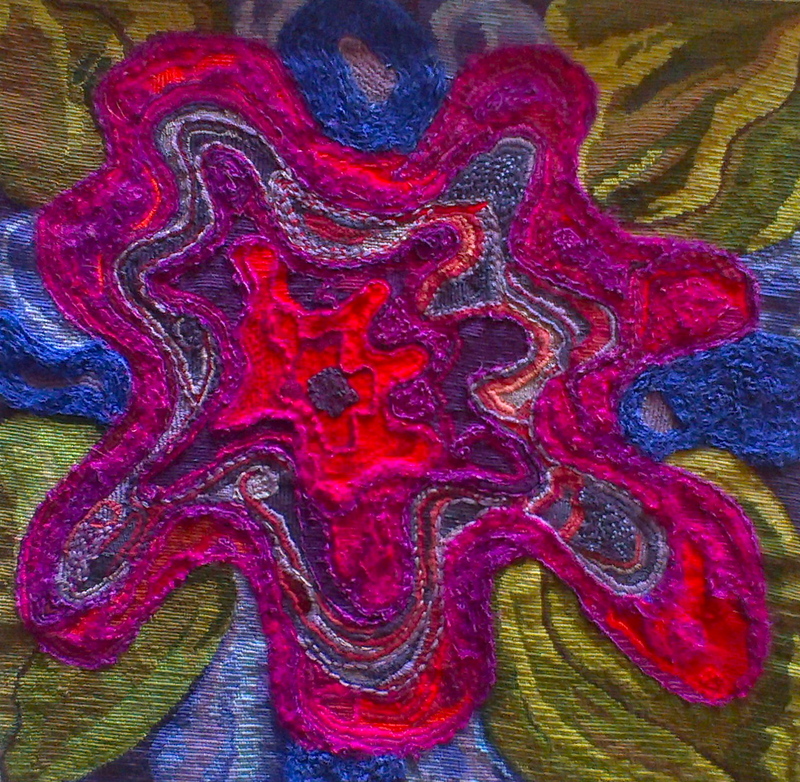 Needlepoint, couching, random stitches, using a wide variety of wools and silks, featuring recycled sari silk. On linen scrim. Stitched between March and July 2013. Perhaps subliminally inspired by Moorcroft pottery?